If you have ever visited a castle or manor house before, you have probably seen and admired the refectory tables often found inside. 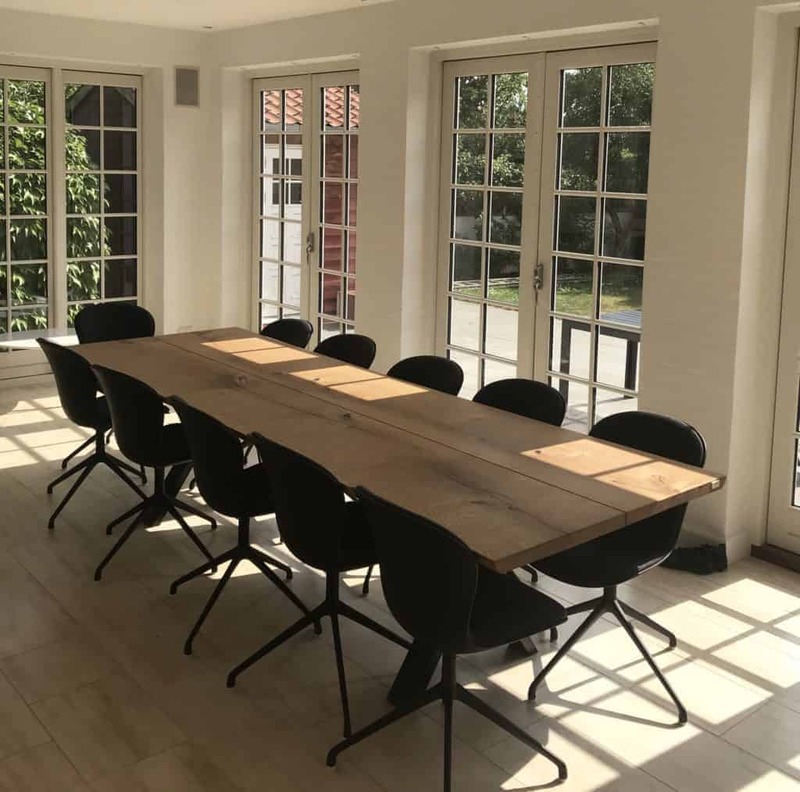 At Kærbygård, we can make your dream of your very own refectory table come true. 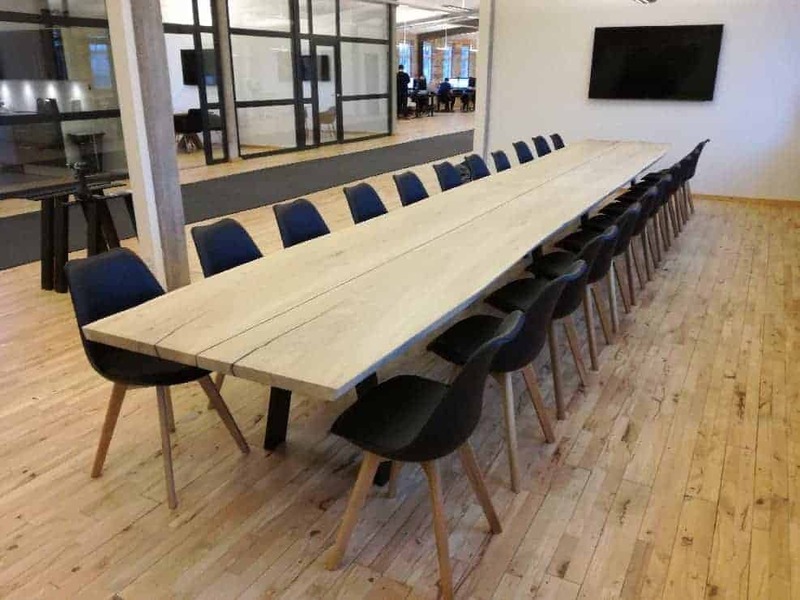 We produce refectory tables in different designs and sizes and offer customization, so you can get the table of your dreams. Not everybody has space for a huge refectory table in their home, but space isn’t necessary. A refectory table can be customized in both length and width, making it appear harmonious and adjusted to the room it stands in. 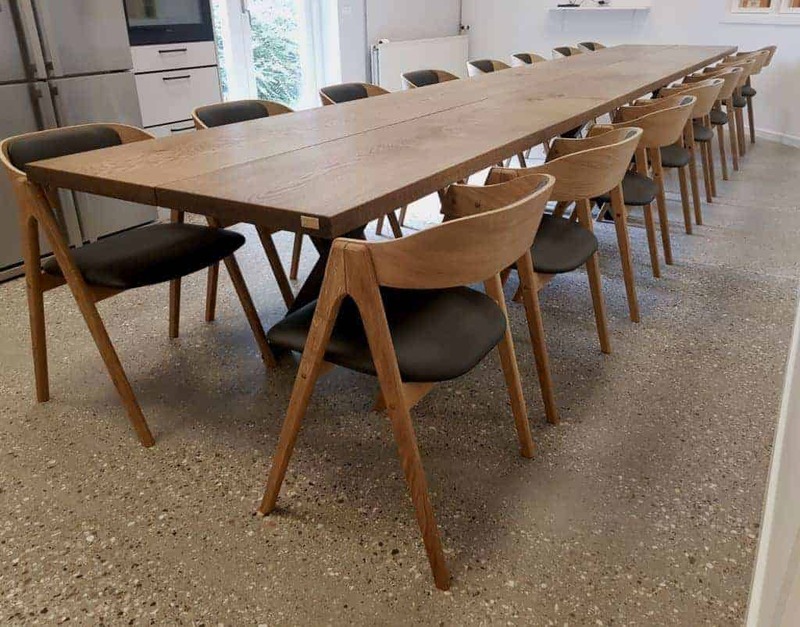 The width can be varied because our refectory tables are made with one or two – or perhaps even three – planks. The width of these planks can vary as well. Thus, it is possible for your table to have a width that fits perfectly into your home. A refectory table is a long table. However, this does not mean that only long models are available. 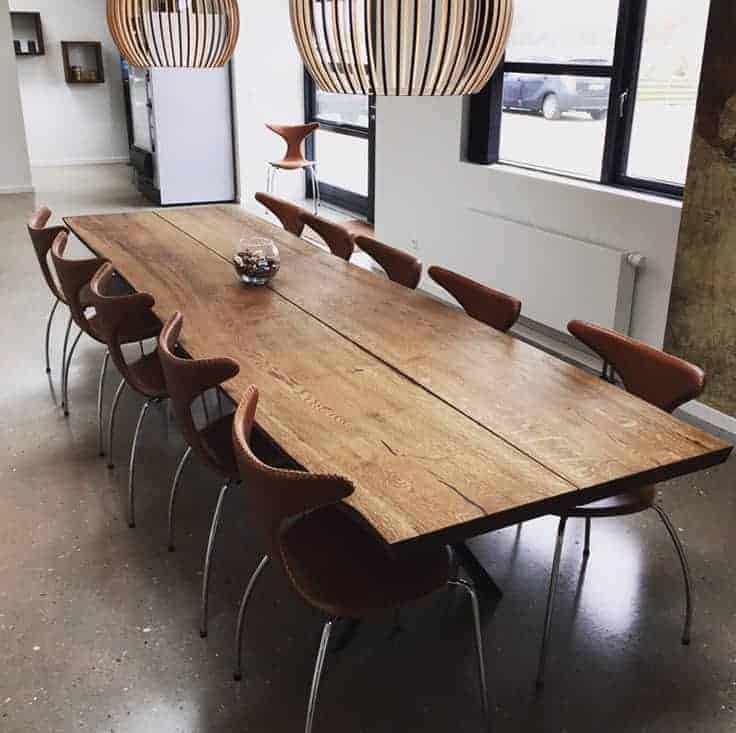 Many of our customers order customized refectory tables that suit their wishes and everyday needs in addition to fitting perfectly into their designated rooms. When the need for an even longer table occurs, e.g., when you have guests, extension plates can be installed. We make several different solutions for extension plates, out of which you can find one that best suits your need. This way it is possible to adjust the number of seats depending on the situation. 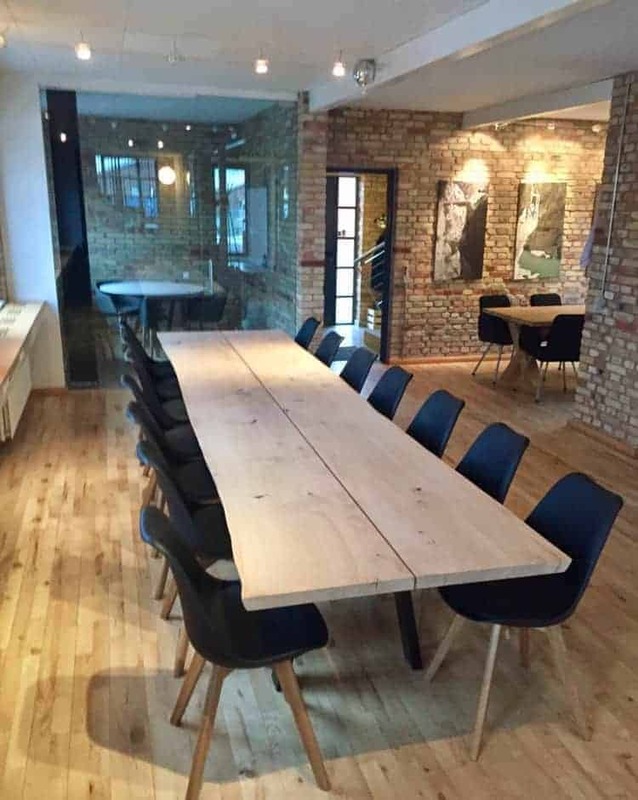 E.g., a long table with space for six can be extended to provide space for 12. 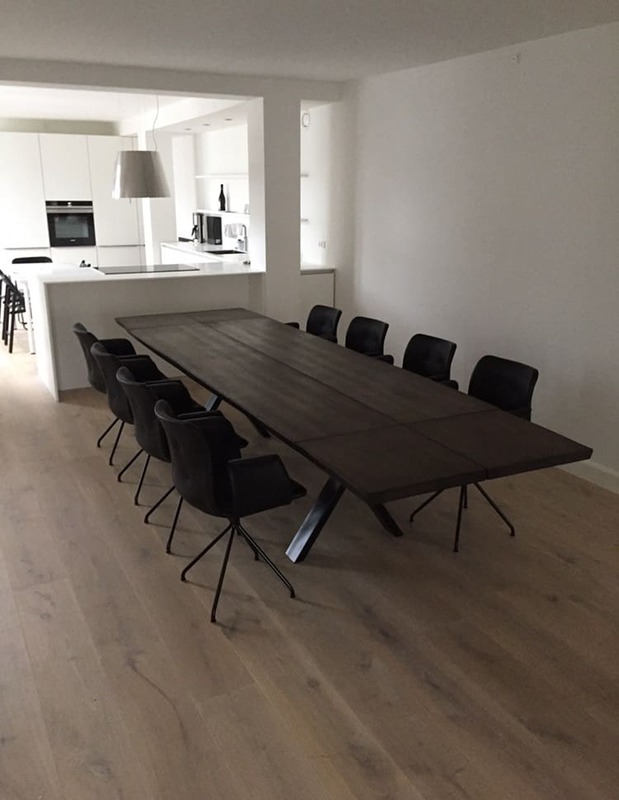 Therefore, there is no need to opt out of buying a refectory table because you don’t think you have enough space. Refectory tables are often made with two or three planks for an optimal width. 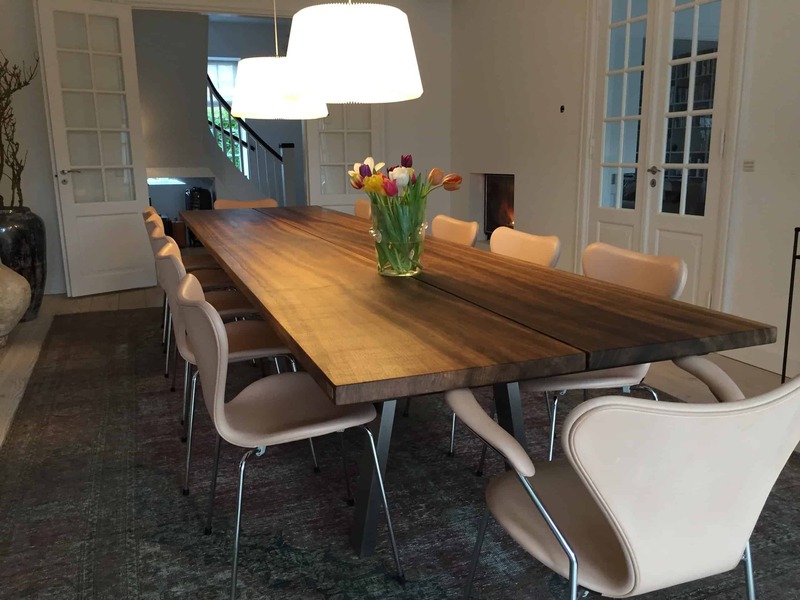 There is a small gap between the planks, which helps to give the table a rustic and natural look. 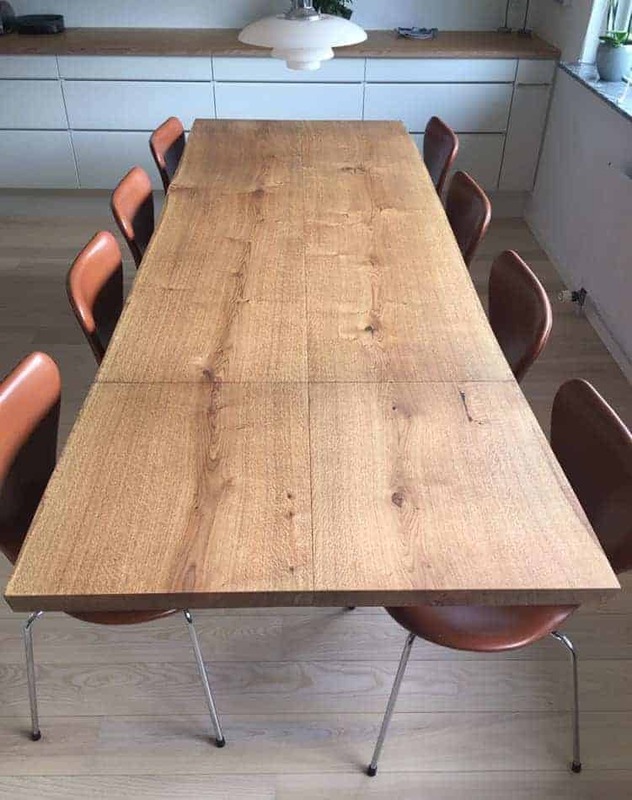 If you don’t like the “gap look”, we can also provide a refectory table with glued planks. This makes the planks appear gathered. Kærbygård oversees the entire production of the plank tables. This means we have full control of the process, from cutting the trees to sawing the timber into planks and then drying them in the open and in a kiln. We also have full control of the finishing planing and, last but not least, the final treatments, including sanding and surface coating. It is the finishing touches that give each table their uniqueness by enhancing their grain and making them able to withstand the test of time. By overseeing the production ourselves, we can guarantee the highest quality. We make big demands of the quality of our products and only the best wood will be used for planks. Therefore, the production of a single table can result in a spill percent of 75%. This is a high number, but we won’t comprise the quality of the tables – we want to deliver the best products. However, the surplus wood from the plank production isn’t wasted. Instead, we use it to make smaller products, e.g., kitchen equipment, shelves, wine racks etc. The surplus wood that is not suited for quality products will be used as firewood to heat up our warehouse, workshop, and showroom.